Soil temperatures increased last week which has increased pasture growth from 53kgDM/day to 70kgDM/day over the week. 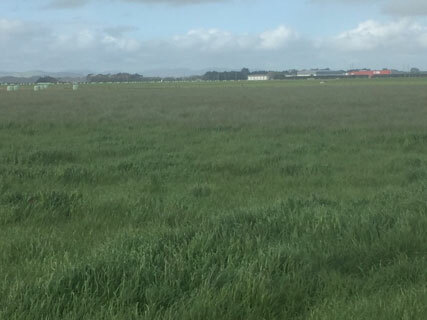 Paddocks appear untidy with seed head present in most paddocks at grazing requiring topping to waste after grazing to remove the low quality stalk. Very little waste evident after topping. 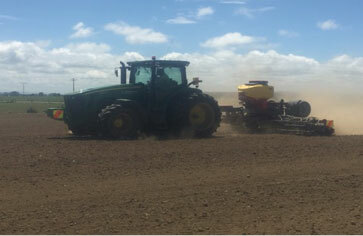 Farm team identifying any paddocks at 3,300kgDM/ha average cover or over as surplus. 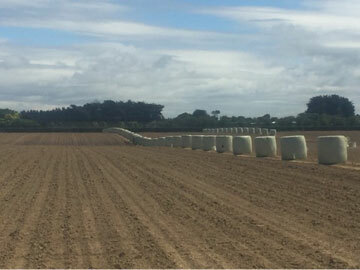 Surplus feed is harvested as baleage and is being placed on crop paddocks as it is made assuming crop yields of 12t/ha in Kale (second crop) and 22t/ha of fodder beet. 15 cows that were on OAD have returned to TAD milking as their BCS has lifted above the minimum of BCS 4. All cow are to remain in their herds unless sick so we manage lighter cows by placing them onto OAD milking and preferiential feeding in the shed. 90 % of Kale ground on platform sown on the 20th November. Old paddock showing different seed head emergence in different cultivars where an original fence line used to be.